As we count down the days till Thanksgiving, the Cuker team is counting our blessings and giving thanks for an incredible year. We have so much to celebrate in 2013, from new account wins to innovative website launches and delivering digital marketing results for our clients. We're also thankful for a record awards season that included 10 WMA WebAwards and two OMMA award nominations. We are so grateful for our clients, partners, employees, families, and friends that have made 2013 a success. We couldn't have done it without you! 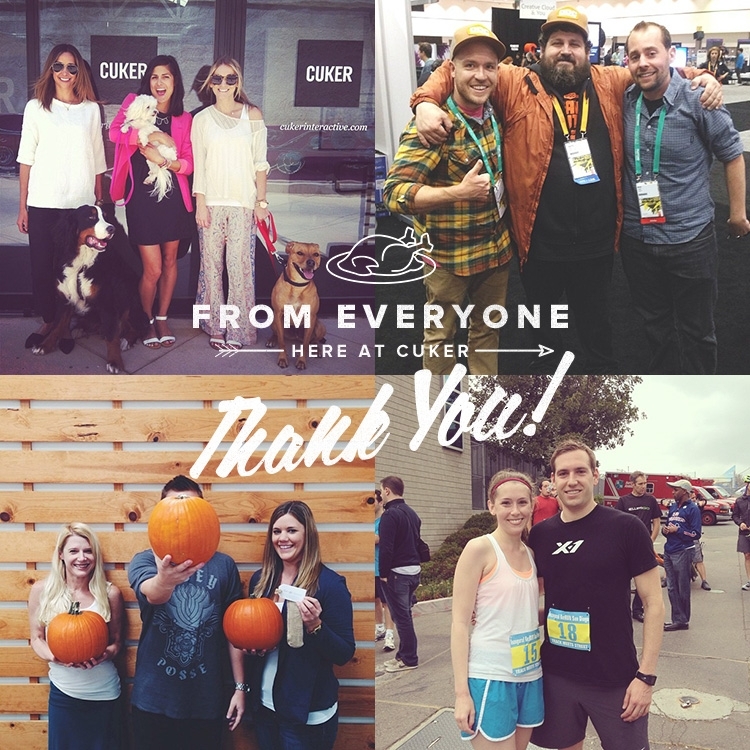 From all of us at Cuker, thank you and Happy Thanksgiving! Published on November 26, 2013 .